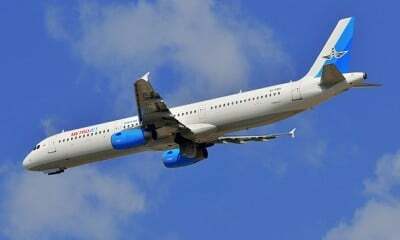 It is too early to draw definitive conclusions about the tragic plane crash of the Russian civil airliner 7K9268 in Sinai in which at least 224 people lost their lives. But that does not mean that one should refrain from drawing a preliminary analysis. We live in a time when the corporate media intentionally obscures the facts and when US-supported terrorists in Syria place women in large cages above buildings as human shields in order to avoid Russian bombings. This leaves us with little choice but to try to make sense of events ourselves. It was a mere several hours after the tragic air crash of the Russian airliner, that Debka File, an Israeli right-wing website with a mixed record, run by a former Israeli intelligence operative, claimed that the plane was shot down by a missile fired by ISIS. Debka also claimed that Russia sought to obscure the location of the crash and falsely claimed that the plane went missing near Cyprus. This seems unreasonable. Firstly, it would make little sense for Russia to obscure a fact that can be easily discovered. Secondly, Russia would have every interest in exposing the truth about the crash as soon as possible and not working to further disinformation. At that stage, it was equally probable that the crash was an accident or a terror attack. However, it was later discovered that the pilot did not call to report a technical failure. This indicates that the event likely caught the pilot by surprise, leaving no time for response. Most accidents or mechanical failures would probably give the pilots enough time to report the incidence. According to reports, the plane did not suffer from a technical malfunction as reported earlier. ISIS claimed responsibility for the crash but its claim is not a proof in itself. ISIS would naturally seek to claim responsibility for such an action, therefore demonstrating its power to strike back at Russia. The video of the plane being shot down by a missile may or may not have been released by ISIS but even if it was, that does not mean that ISIL brought it down. The Russian airline flew at 10,000 meters above ground and ISIL would need a sophisticated surface-to-air missile since a man-portable anti-aircraft missile will be unlikely to hit the plane. Such missiles are currently probably not in the hands of jihadist fighters in Sinai. Surface-to-air missile could be smuggled in from Libya, but such a transfer would probably become known within a very short period of time, as the Bedouin track nearly everything that takes place in the area and rumors spread quickly. Also, operating it would requite a high level of expertise that jihadist fighters in Sinai probably do not possess. Egypt rushed to deny that the crash was a terrorist attack and later said that one should wait until the investigation is complete. This is understandable. Egypt is interested in good relations with Russia and in tourism from Russia and the possibility of a terrorist attack was too scary to consider. Egypt may have also been embarrassed by the fact that it does not have full control over Sinai as terrorist groups that operate there have attacked police stations in the past. Moreover, in Sinai where bribery is very common, it is possible that a person managed to make his way to the plane while it was still at the airport and plant a bomb there or damage the plane in such a way that it would later crash. Such a scheme, however, would possibly require the collaboration and participation of the security guards of the airport and of the Egyptian police. Egypt is generally naturally embarrassed about the corruption that exists among some of the police. By now, it appears that Russian investigators have generally ruled out mechanical errors and believe that the plane was brought down due to an external factor. The plane appeared to have broken apart in the air. Based on what we know so far, a reasonable scenario, and it is of course not proven at this stage, is that someone managed to plant a bomb on the plane before it took off. Engaging in such a sophisticated plot would serve several purposes. First, it would be difficult to trace the cause of the crash until several days later if the cause will ever be found. Secondly, it is easier to bring down a plane in that way than by a missile. These advantages would only be doubled if the kind of bomb placed was not a regular bomb but one that would cause the plane to unravel due to sophisticated technology that does not leave the traditional traces of fire. If the above is true, it is possible that the high expertise demanded from those who planted a bomb or several in such a way that they will not be discovered by the security crew nor would the cause be evident, could only take place with the help of highly skilled professionals, who may have not come from the ranks of jihadist fighters in Sinai. Since it is seems that the plane broke up in air and yet no traces of explosion can be seen, it should not be ruled out that exceptionally advanced technology was used and that such a technology was unlikely to be in the hands of ISIL. In 1976, two bombs exploded in the Cubana flight 455 a short while after it took off. The pilot attempted bravely to save the plane and landed it in the sea but all 73 passengers were killed, among them 24 members of the Olympic fencing team. The action was carried out by CIA-sponsored Cuban terrorists and led by Luis Posada Carriles, who was trained with explosives by the agency. In 1985, Luis Posada Carriles was indicted in Venezuela for the action. He escaped shortly after and went on to work for the CIA. He now has found refuge in Miami. The only trial he faced in the US was for the minor charge of infringing immigration rules. The Cubana 455 incident is significant as it proves that the CIA had no moral qualms sending people to plant bombs on civilian planes. It is reasonable to fear that what was true for the US when dealing with tiny Cuba may also be true for the US when dealing with the Russian Federation which poses far more of a challenge to the hegemony of the former. There is the possibility, which cannot be proven at this stage but should be raised, that CIA-sponsored terrorists planted an advanced bomb on the Russian airliner in the airport on the night before it took off and used a unique technological devise that could result in the plane breaking apart and does not leave signs of a fire. This would serve to pay back Russia for its operations in Syria and to prolong the investigation onto its causes while even provoking Russia into action and in turn presenting it as irrational and whimsical. Bringing down a civilian plane would be in the interest of the US, as it may turn the Russian public, pained and shocked by the heavy toll of civilians, against Putin and against the war in Syria. Indeed, since John McCain unabashedly recommended arming rebels with surface-to-air missiles to bring down Russian military planes in Syria, it should not be ruled out, based on the senator’s statement, that Western intelligence agencies brought down a Russian airliner. If in the coming days it becomes clear that the plane exploded due to bombs placed on it, it is not impossible that those who planted the bomb received help and training from the CIA. Bringing down planes while leaving no clear traces that point to the cause of the wreckage would serve as an ideal modus operandi for the US in its war against Russia. The mysteriously absent lack of evidence would not allow Russia to blame a particular actor while the crash would intensify pressure on Putin to end his operations in Syria and would create despair and panic in Russia. It would also provoke Russia to act hurriedly in response while then its actions would later be seen as provocations that came out of the blue. Suggesting such a scenario may seem wild and irresponsible, and it should not be claimed as fact, but in light of Senator McCain’s own words, it is possible. The anti-Russian hysteria in the US that suggests that the US intends to intensify its encirclement of Russia and the fact that the US is already arming jihadist rebels in Syria and sponsored terrorists who brought down planes in the past mean that such a scenario should be investigated and considered. Of course, nothing can be said with certainty until the investigation is complete. But the latest crash of a Russian-built plane in South Sudan is worrying due to the proximity of events. In light of the possibility that many Americans are probably convinced that Russian planes are faulty and continue to crash for no reason due to the sense of superiority with which they view the country, Americans would be served well if they would educate themselves on the history of the US bringing down civilian planes, which also include the Iran Air 655, as most are probably convinced that only bearded terrorists conducted such actions. One would hope that exhaustive investigations would shed more light on the matter.